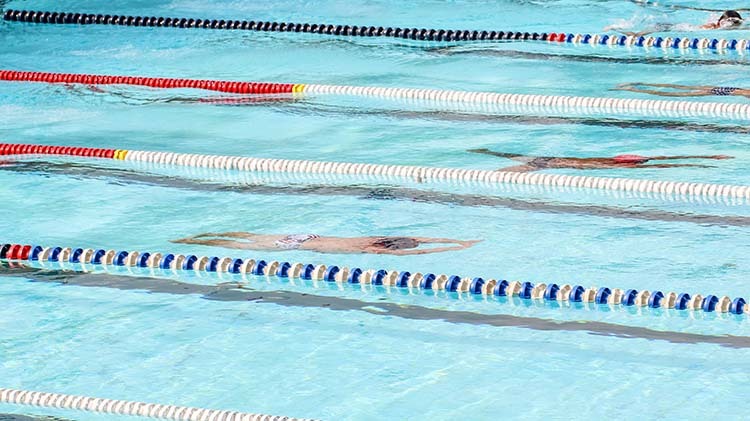 The Fort Detrick Aquatics Department offers an on-going “Swim to Your Destination” program. This program is held at the indoor pool located inside the Odom Fitness Center, Bldg. 1507 Porter Street. Swimmers are encouraged to swim laps to accumulate distance swam in relation to the length of the Appalachian Trail, which covers about 2,200 miles from Maine to Georgia. The exact length of the trail changes over time as parts are modified or rerouted. Swimming 32 laps is the equivalent of one mile. “Swim to Your Destination” is a self-paced program. Your progress can be updated and followed on a map located inside the pool. A certificate will be presented to individuals for each 100 miles swam.